â€œIt is a fact that severally, the former president has dissociated himself from owning any social media account. â€œTherefore, it is highly disappointing that such sensitive Twitter post would be allowed to go on air without verification by the African Independent Television (AIT),â€ the statement stated. He added, â€œThere was no meeting with the Vice President anywhere. I was at the airport and was informed that he was around in the lounge and out of courtesy; I felt I should go and greet him. We met, greeted and exchanged pleasantries and I left. That was all. â€œThe station should have been very professional and not causing confusion and heating up the polity. 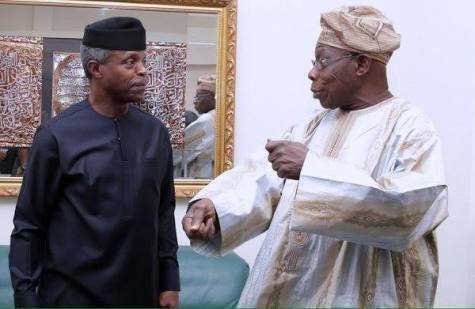 That I am not operating any social media account should not be strange to a station like AIT, and for that embarrassment, the Vice President and I deserve an apology,â€ Mr Obasanjo said. DAILY POST had earlier reported that the Vice President dismissed claims that the meeting was a closed-door one aimed at lobbying the former president ahead of the 2019 election.